After seeing my friend Nikki announce on Facebook that she had made a batch of her Grandma’s Chicken & Noodles for dinner, I’ve been hankering to give it a try. There’s nothing like Chicken Noodle Soup when you’re sick. Cadence and I have been sick for almost a week now, so we definitely needed a good, old-fashioned chicken noodle remedy. I don’t know if it was the soup or watching the Huskers win again today, but we both seemed to be feeling a little better this evening. If you’d like to give the recipe a try, head on over to my Lori Bites blog and check it out. Trust me, you won’t be disappointed. 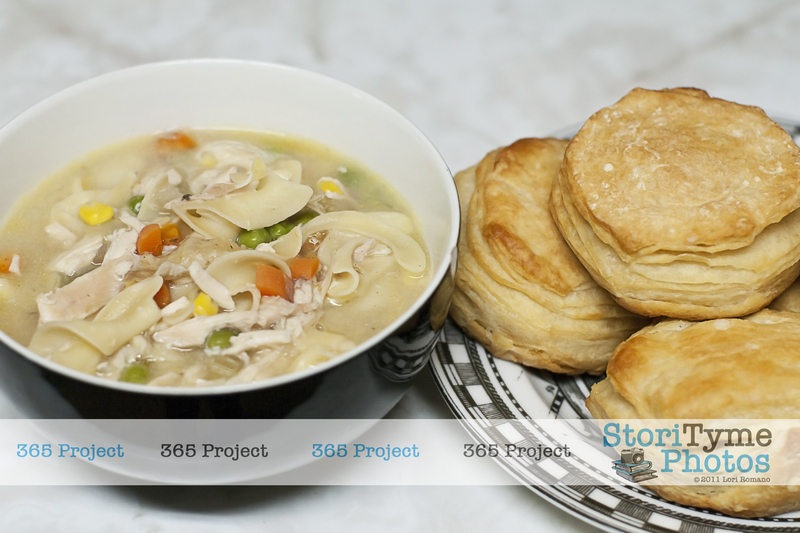 Tonight’s 365 Project entry is dedicated to my friend Nikki for being the inspiration behind tonight’s delicious meal. Yum!